Treat your complexion to the REN Flash Hydro-Boost Instant Plumping Emulsion; an ultra-hydrating formula that works to replenish thirsty, wanting skin. Enriched with Hyaluronic Acid and Sugar-derived Xylitol, the fast-absorbing treatment locks in moisture and delivers a plumping effect, whilst helping to minimise the appearance of fine lines and dehydration lines for smoother, younger-looking skin. Protects against water loss to leave your complexion radiant and renewed. Leaf Extract, Benzyl Salicylate, Citronellol, Geraniol, Limonene, Linalool * 100% Natural Fragrance. This is my secret hydration booster for my skin. It really works and very good product! 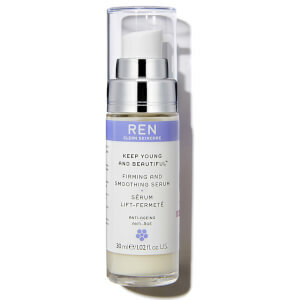 Thank Skinstore to carry this Hydration booster of Ren clean skincare. Following Evercalm overnight recovery balm after Hydro-boost,I can feel amazing smooth and balance. I used this booster in the morning and night. This is great to have result before and after work out This is the best! !